West Bromwich Albion have tabled a new €500,000 offer to sign Zamalek's Ali Gabr, according to the club's chairman Mortada Mansour, with the Egypt defender looking close to sealing a loan move to the Hawthorns until the end of the season. "Their first offer was 200,000 euros but they have now upped their bid to 500,000," Mansour said in an interview with an Egyptian radio station on Saturday. "Ali Gabr wants to leave and he is pushing for that. Zamalek's football committee will decide on the matter within 48 hours." If Gabr joins West Brom, who are fighting against relegation in the elite Premier League, he is expected to form a solid partnership with Egypt teammate Ahmed Hegazi in the heart of the team's defence. 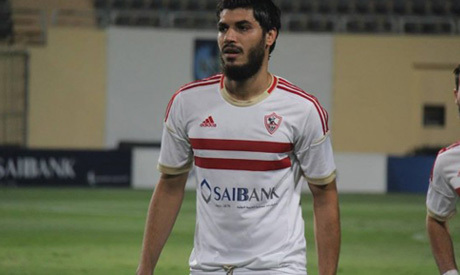 The 29-year-old has been one of Zamalek’s key players since joining from Alexandria-based club Ittihad in the summer of 2014, helping them win a rare domestic double in 2015 and the Egypt Cup title in 2016. He was also a regular member of the Egypt side that reached the African Nations Cup final and qualified for the World Cup after a 28-year absence last year. Gabr has made 18 international appearances since making his debut with Egypt in 2014. Hegazi has been a regular member of West Brom’s starting line-up since joining last summer from Zamalek’s Cairo rivals Ahly on a season-long loan deal. Last month, The Baggies exercised an option to tie him down to a five-year contract ending in 2022.